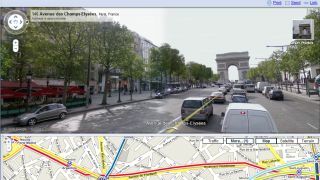 all announcing new 3D mapping services that claim to improve navigation capabilities for users. But the changes hitting these companies' mapping applications aren't good news to everyone, particularly those concerned with privacy. Sen. Charles Schumer (D-NY), for example, condemned Apple and Google in particular for their use of "military-grade spy planes" in collecting data for the new maps services. "Barbequing or sunbathing in your backyard shouldn't be a public event," the senator wrote in a statement to Google CEO Larry Page and Apple head Tim Cook. "People should be free from the worry of some high-tech peeping Tom technology violating one's privacy when in your own home. "Apple and Google will have access to private and sensitive images. It's imperative that these companies disclose their plans for protecting privacy of both individuals and sensitive infrastructure, their publication intentions, and their plans for including public consent in the mapping process." "You really shouldn't expect any privacy in your backyard." "So the government doesn't like the competition for drones? Is that the problem?" quipped Santa Clara University law professor Eric Goldman. TechRadar spoke on the phone with Professor Goldman, who was slightly confused about why this technology is being singled out now. "What's the difference in this case between the 3D mapping and just the overall ability to take 2D photos or 2D representations?" he asked. "It's got a third 'D' in it, maybe?" "There are a lot of different threads in privacy about the interaction of privacy and technology," Goldman said, citing an infamous Warren and Brandeis article that addressed privacy concerns raised when cameras became advanced enough to photograph people in motion, thereby creating the candid shot. "As technology gets better, privacy gets put under more pressure," he added. There are plenty of technologies, particularly Google Earth, that are capable of capturing images of backyards and other "private" places. But "as technology to capture or depict people in their backyards gets better," Goldman said, "then at some point we get to the point where we say you really shouldn't expect any privacy in your backyard." "The writing is on the wall, and it's clear," he added. Schumer suggested three ways for Google and Apple to protect privacy. First, he said, they should notify communities when they plan to capture aerial images. Second, they should automatically blur photos of individuals and should allow property owners to opt-out of the mapping. Third, protocols should be in place to "ensure that sensitive infrastructure details" are omitted from maps. Goldman isn't sure whether the companies will bother with these policies. "They have those things, you know, 'Spare the Air' days, stay indoors," the professor told TechRadar. "Google Drone days, stay indoors[laughing]!" "It would be appropriate for Google and Apple to anticipate the possibility that they will capture things that really aren't appropriate for publication," he said. "I think that that would be a good matter of corporate ethics. I think that would be a logical lesson from the experiences with Google Street View," Goldman continued. But there's a catch: "I think it would be illogical to legally require that," he concluded. So given that apparent deficit of logic, does Schumer have some sort of agenda? "I can't speak for what's on the mind of our members of Congress," Goldman concluded. "They baffle me."